I was driving back to Canon City from a long day in Pueblo so I took the scenic, and often more birdie, root via H96. 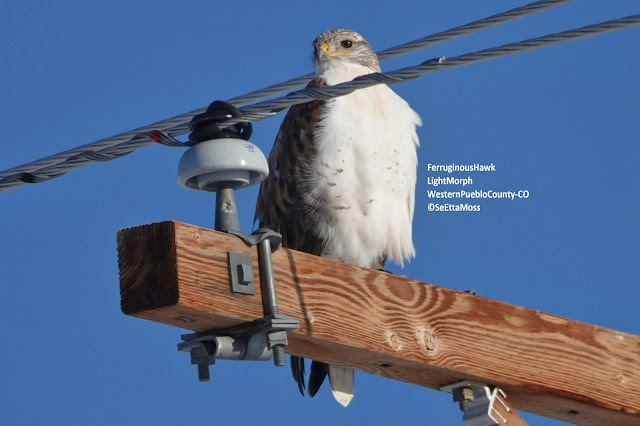 I spotted this hawk and got these 3 pics that show most of the field marks for this subspecies. Every fall and winter I get to drive around my town of Canon City to watch and photograph a number of sapsuckers. There are always several Williamson's Sapsuckers and this year is no different. 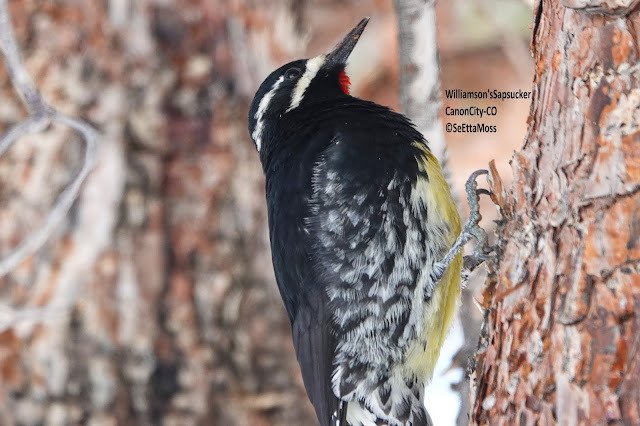 These are pics of one of two male Williamson's Sapsuckers I have found so far. 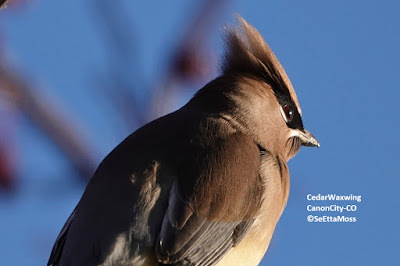 I am back😀 I spotted some Cedar Waxwings in a couple of crab apple trees located right next to busy 9th Street in Canon City. There were about 20 to 25 birds in the flock.